Atomic alarm clock with digital or round interface. As event reminder it lets you conveniently manage your important dates and times. Supports user-selected clock skins in BMP, GIF, JPG, WMF formats, sends e-mail notifications and plays sounds. Displays animated alarm icon on the taskbar. 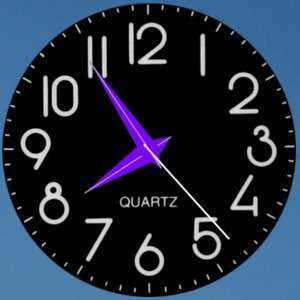 Round Clock 4.0 is a shareware program and can be used as a demo to try the software until the free trial period has ended. A full version of the program is available after the trial period ends. For security reasons, you should also check out the Round Clock download at LO4D.com which includes virus and malware tests. Additional screenshots of this application download may be available, too.